On the evening of Monday 14th, the Government once again tried to use underhanded tactics to force through legislation that would make £1 billion worth of cuts to tax credits. The Tories forced a vote on this issue without a debate, trying to continue their plan of governing from the shadows. I voted against the Government on Monday evening, but unfortunately the Government’s tactics worked and the plans to cut tax credits have been forced through. On Wednesday 16th I was in the Chamber once again for Prime Minister’s Questions where Cameron continued to proclaim that the Tories are the party for working people. I think we all know that’s not true! After Prime Minister’s Questions, I stayed in the Chamber to listen to the Chancellor once again to stand on the side of the rich at the expense of those most vulnerable in society. The entire Budget was unfair and showed the Government’s failure to get the economy under control, despite six years of them claiming to be fixing the economy. 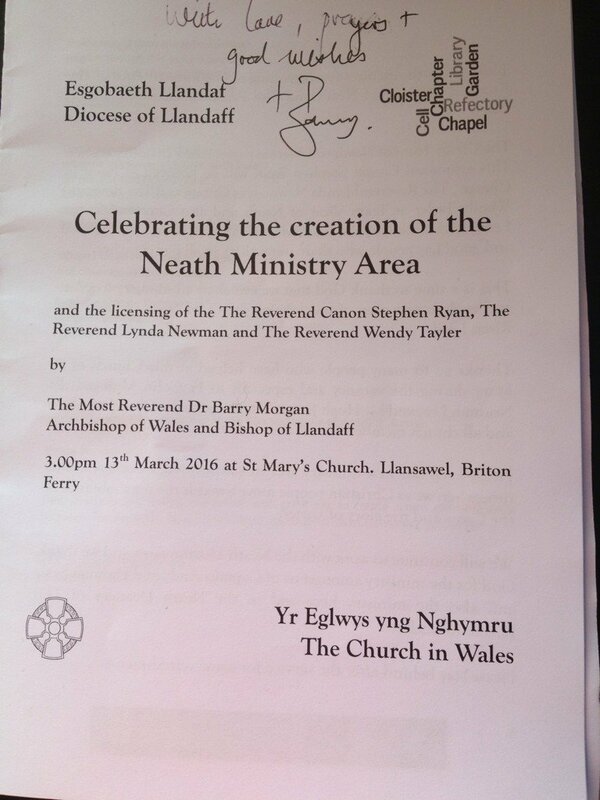 I celebrated the creation of the Neath Ministry Area on Sunday the 13th along with the Archbishop of Wales, Dr Barry Morgan. During the service, The Reverend Canon Stephen Ryan, The Reverend Lynda Newman and The Reverend Wendy Tayler were all licensed too. I send my congratulations to all. Thursday the 17th was St Patrick’s Day, as I’m sure we all know. To celebrate the day I headed up to Banwen, the birthplace of St Patrick. 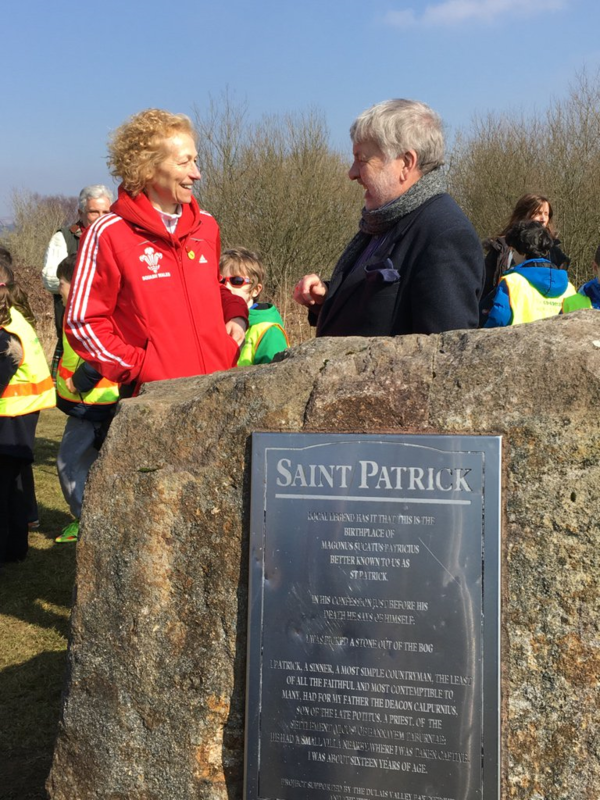 There was a good celebration ceremony held at the stone which commemorates the birth of St Patrick, attended by many school children and the people of Banwen as well as Roy Noble, the great radio and TV presenter. After this I went to a terrific lunch hosted by DOVE workshop in Banwen, which was holding an event to celebrate St Patrick’s life. 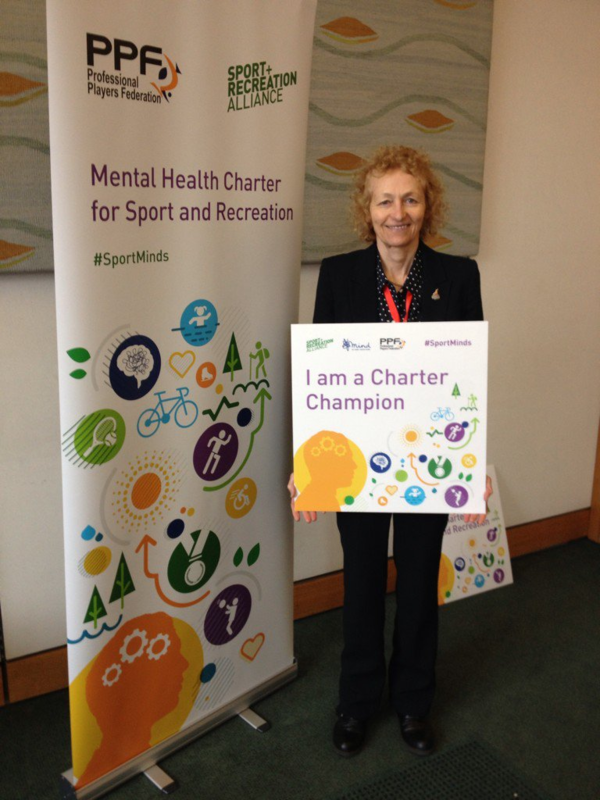 On Tuesday the 15th I pledged my support as a champion for the Mental Health Charter for Sport and Recreation. In sport, as well as in all walks of life it is so important to tackle the stigma behind mental health and improving public awareness of mental health is an essential first step in doing that. On the afternoon of Wednesday 16th I attended the Youth Justice Board and spoke about the great work that Offender Interventions & Hillside Secure Unit do in Neath.